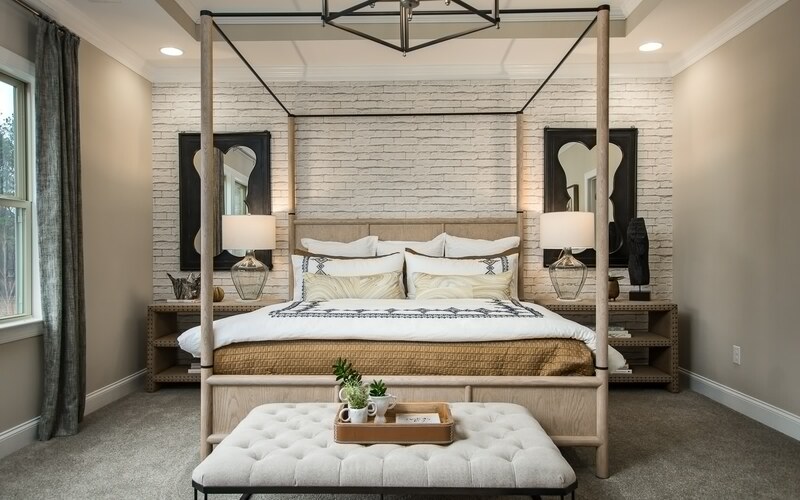 Organic textures, clean lines and a California vibe are just the beginning for this gorgeous model home design at Tramore in Atlanta, GA. The design offers a reprieve from the trending gray color scheme by delivering a warmer palette that adds pops of goldenrod, poppy and black that energize the home. 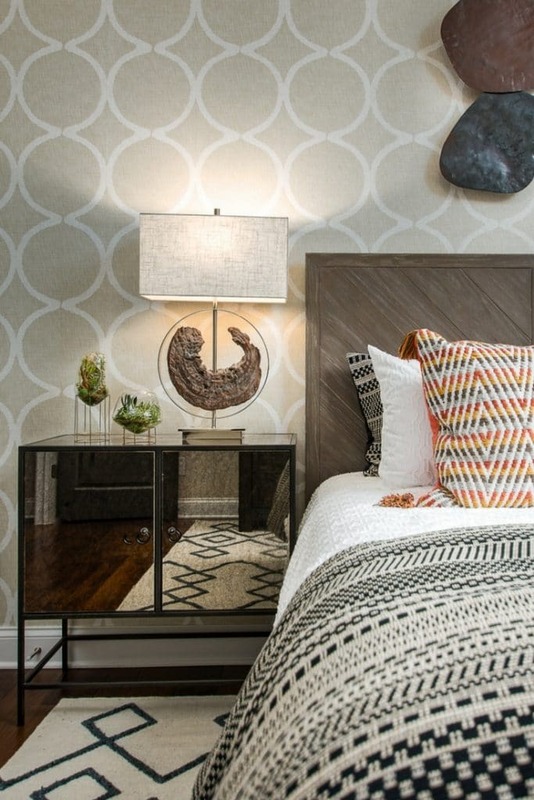 These bursts of color are balanced and fused with textural elements that modernize the home and create an inviting environment ideal for the move-up family buyer. When setting out to design this project, designer Lisa Giles wanted the model to offer a glimpse into the livability of the plan for today’s fast-paced family lifestyle. Unique textures and comfortable spaces throughout the home create a relaxed and organic feel that support flexible and versatile spaces: multiple dining spaces, an open flex room and a bedroom on the main level. Specifically, the main floor flex room offers a casual and inviting gathering area to give the buyer room to entertain off the main Dining Room. Highlighting the contrast of modern and found elements along with light and dark materials, Lisa was able to create an environment of relaxed yet refined living. The kitchen appeals to buyers with the crisp white cabinets against black countertops, accented by organic wood accessories that soften the palette. 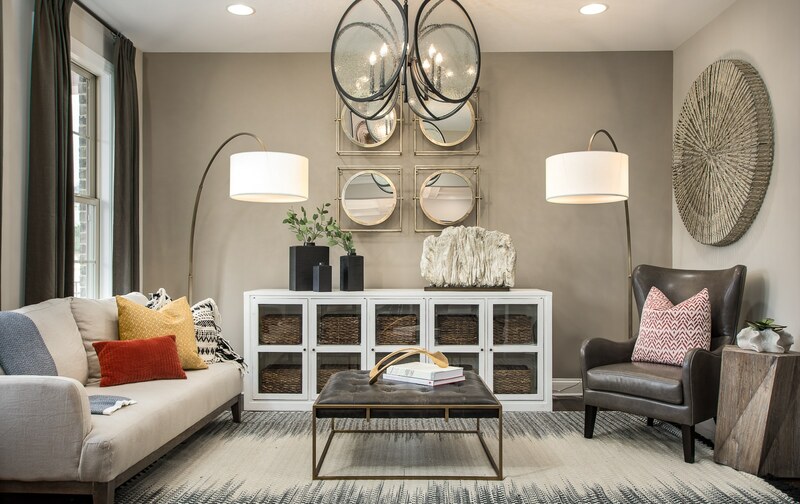 Mixing metals and wood tones throughout the space created a more curated and welcoming atmosphere. 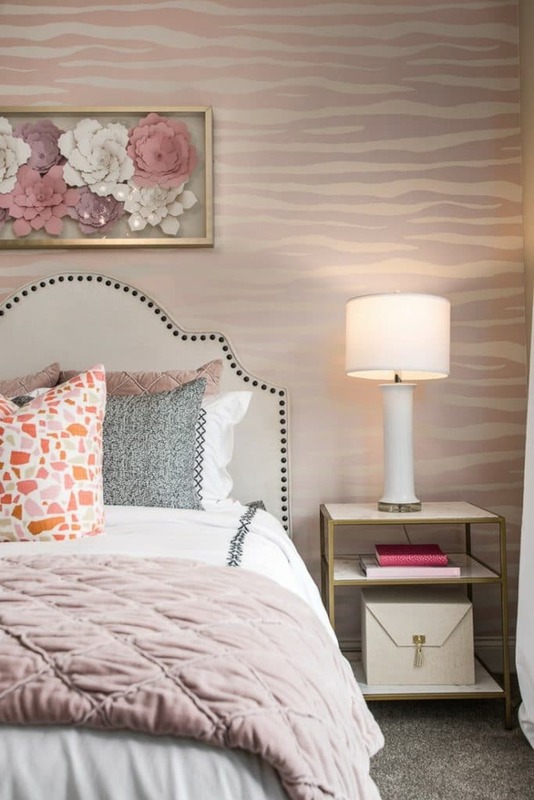 The Owner’s bedroom was designed around a cerused wood poster bed, accented by the texture of the brick wallpaper, dark metals and burlap nightstands. At Tramore, and with each project, Haven strives to push boundaries and redefine how today’s family home is designed. Visit our Project Gallery, Instagram, and Facebook to see more exciting and new projects like Tramore from the Haven Design Works team or contact us here!